After a week of skiing in Utah at five different resorts, it's apparent that some big changes are rocking the snowsports industry today. Hopefully the work I do at FamilyTravelConsulting.com will provide some cover as I make the following statements based on observation. 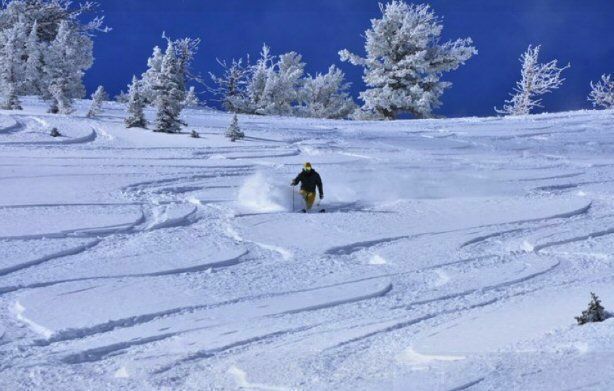 In Utah, and across the board at all mountain resorts, skiing is back and more popular than ever. Our guide in Ogden, Rich Koski, shared a story that said it all: He was on a gondola to the top of Snowbasin with several young boy skiers, and when he asked them why none were snowboarding, one of the boys said, "Me, snowboard? My dad snowboards!" After 25 years of revolutionizing the snowsports industry; of bringing back fun, play and glamour, will snowboarding become the older generation's sport? Certainly the disdain of the young for whatever parents adopt should be a real concern in the industry. Meanwhile, snowbikes, fat skis, rocker skis, "half snowboard" skis wide enough for fine powder, teleboards (telemark bindings on a snowboard), double rocker Burton snowboards (for 3-year-olds), ski kites and other snow toys continue to appear and engage those who can afford them. The lift ticket options and learn to ski / ride programs varied at each of the Utah resorts we visited but one thing they had in common was a deep and genuine commitment to children and family. Although the industry overall recognizes the economic value of the famiy market, in Utah it can be explained by the state's Mormon client base. For example, my instructor at Eagle Point had five children and 10 grandchildren at the same lifestage that I had one teen. Then you have the single dad who complained via twitter that the industry doesn't recognize anyone who's not in a "family of 4" lifestyle. Ouch. It's obvious that not all families are created equal and marketing messages should reflect that. A state with the slogan "Greatest Snow on Earth" emblazoned on its license plate is bound to produce lifelong snowsports fans. Most of the people I spoke to grew up within 50 miles of where I met them. And at the five mountains I visited, most classes, lifts and concessions were run by locals, which gives Utah resorts an authentic, all-American, homespun ambiance. That "Proudly Made in the USA" feel has been lost at many world-class resorts which import Brazilians, South Africans, Australians and other seasonal workers. 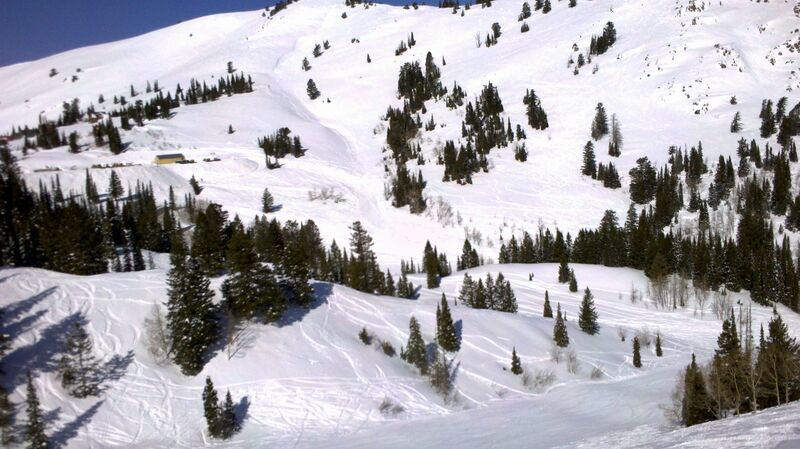 It may be lost in the picket lines of Wisconsin too, but not in Utah, and it's very appealing to the destination skier. With the committed citizenry in Utah, it's no wonder there are plenty of volunteers to be mountain ambassadors. At most resorts, these volunteers are used to give free guided tours to newcomers, making what used to be a perk at high-end places almost an industry standard. If it's not, it should be an industry standard. What is sorely lacking at smaller Utah resorts are customer care amenities. Complimentary tissues, jugs of water with disposable cups, even sun block at lift lines are not unheard of in other states. And cheap lift ticket rates are no excuse. At one self-proclaimed greener-than-green Utah resort, not only was there no water at lift lines, there was none in the ski lodge. You had to pay $3.50 for a bottle of Aquafina, a non-local, high carbon footpriint Pepsico product in a package of landfill. Again, in a state where the great mountain resorts enable guests to experience freestyle, off-piste or 360s in the terrain parks, a helmet may be more necessary than at New England hills with a 400-foot verical drop. But the ubiquity is striking nonethelss, and at some forward-thinking resorts, a helmet is included free with beginner lessons. So, my takeaway from a whirlwind SkiUtah tour is that snowsports are alive and well. At least in Utah, where, ironically, less than 20% of the population actually takes part in them. As for customer care, beware. What's been forgiven by mountain guests in lean years, will be expected by them in fat years. And skiers think this is a fat year.